Dr. Uren is an assistant professor of emergency medicine at the University of Michigan Medical School. He joined the faculty in 2006 after completing his medical school education and residency in emergency medicine at U-M, where he was named chief resident. Dr. Uren has been active in organized medicine and has a history of advocacy for patients. He has worked with the State of Michigan on Medicaid patient access to emergency departments and is part of a Blue Cross Blue Shield of Michigan collaborative to improve emergency department care. 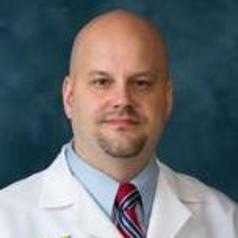 He is a past president of the Michigan College of Emergency Physicians (MCEP), a professional medical society representing 1,700 emergency physicians in Michigan, and is a member of the American College of Emergency Physicians, representing over 27,000 emergency physicians across the United States. He has chaired MCEP’s Legislative Committee and the ACEP State Legislative and Regulatory Committee, and serves as the Michigan state captain for ACEP's Grassroots Advocacy Group, The 911 Legislative Network. In addition to his roles in emergency medicine, Dr. Uren is also president elect of the Washtenaw County Medical Society and serves on the Michigan State Medical Society's Legislative and Regulatory Committee.